Our mission is to supply the needs of consumers. We believe a strong distribution network along with retail support is the key to our success. Welcome to Park Avenue Products, one of the nations trusted nutraceutical supplement suppliers in the Nation Since 2008, we have delivered quality products and service to our distributors and consumers. If you are interested in purchasing our products, please visit one of our many websites or vendors throughout the United States and other International resellers world wide. Thanks for visiting! Begining November 17th 2013 Park Avenue will open Santas-House.Com. Spokes person states; Santas-House.com is store like no others when it comes down to getting letters from Santa. The store will offer bundle deals which include name brand toys an a telephone call to your child from a Elf or Santa with starting prices as low as $19.99. Park Avenue Products is teaming up with vendors around the county to bring this new pardox to the christmas season. We do know discussions with fashion photographer Gelner Lóránd of Hungary and Billy Ward of Las Vegas has been going on for the last month about new marketing campaigns that will be implemented in ads for the new Moscavi brand in various magazines, billboards in major cities abroad and in the US. Park Avenue Products discontinues its Male Enhancement Supplements Eruption XL™ and Sexucrave™. Company spokes person states, seasons change, we had a very good run, a AVN nomation, and world wide attention from our constituents. 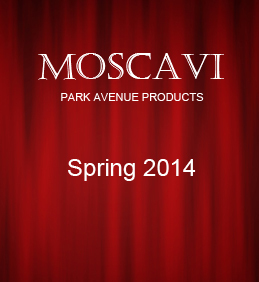 We are looking forward to introducing our new product line "Moscavi Cosmetics" to the general public starting in France and the UK this coming fall of 2013. Many moscavi products will also service luxury hotels and passanger ships in the USA market, providing professional grade beauty care products starting in 2014. The company looks forward to the launch of http://www.moscavi-cosmetics.com. The company looks forward to the launch of http://www.moscavi.com.